Hands On "We're not the cheeky upstart anymore," OnePlus told us at previews of the 6T flagship, its seventh, launched today. After achieving notoriety through stunts and jaw-droppingly low pricing, the brand struggled to turn its value proposition into a mass-market deal. But finally, it has earned the trust of the tech channel and the 6T boasts retail support from three of the big four UK networks. The device itself mirrors the trends of this year's flagships, but at a lower price – if not quite as low as when it first launched. The OnePlus One was almost £300 less than 2014 rivals, and while the 6T is twice as expensive, it retains a substantial price difference. 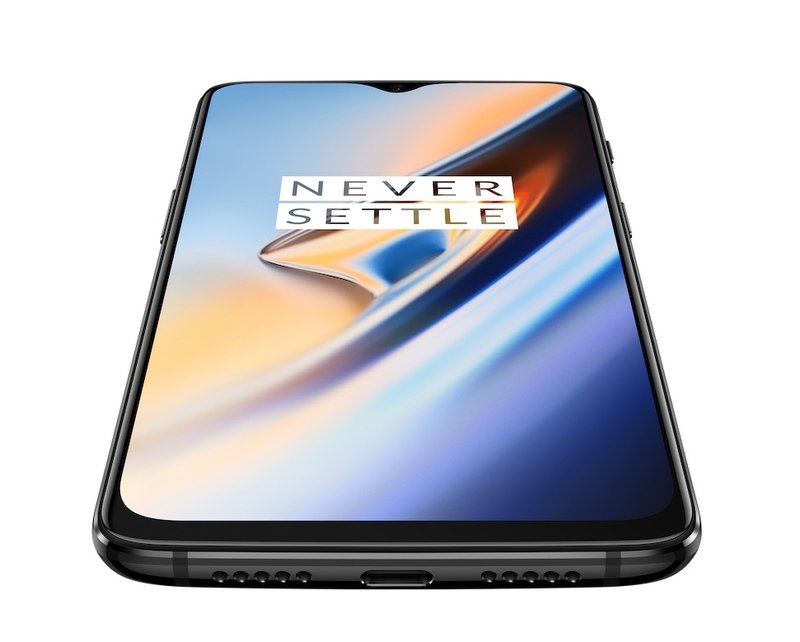 Shipping on 6 November, the OnePlus 6T starts at £499 for the 6GB/128GB model, with the sweet spot at £529 for the 8GB/128GB model. The premium SKU (8GB/256GB) will set you back £579. It comes in two versions of black – matte or glossy. The phone adds an under-glass fingerprint sensor, the second to reach the UK market after the (much more expensive) Huawei Mate 20 Pro. "It was not high on our agenda to be first with these technologies," a OnePlus spokesperson told us. "We tested a screen unlock for the OnePlus 5T a year ago, but the accuracy wasn't as advanced as we had hoped." That design meant that if anything happened to the sensor, the whole screen would have had to be replaced: expensive for OnePlus and the user. This model uses an optical camera sensor in the screen. While biometric face unlock is not considered secure enough for Android payments, fingerprints apparently are. The display size has been increased by 2 per cent over the OnePlus 6. It's a 6.41-inch diagonal OLED (1080 x 2340, c.402ppi, 19.5:9 aspect ratio) with a much less aggressive "teardrop" notch. OnePlus had made room for a larger battery (3,700mAh). The phone still uses the proprietary fast charging used by BKK's Vivo and Oppo. It's 14g heavier than its predecessor. The speaker moves to the top of the device. Otherwise the main imaging hardware is unchanged – it's dual sensor (20MP+16MP), both f/1.7 aperture. Software improvements should be noticeable for night-time shots. OnePlus has eschewed the Huawei approach of shouty AI and unworldly saturation (we must note that AI is turned off by default in the latest Huawei Mate 20). AI is used to de-noise images but OnePlus makes a great deal of the colour accuracy – something Huawei needs to work on (sample). OnePlus is pleased with the more subtle notch. If a notch can ever be subtle. Overall, it's a solid and attractive upgrade, and the big mobile network operator support is perfectly timed. Many will rue the absence of a conventional audio socket for headphones, though a USB Type-C version of OnePlus's bullet headphones is included in the box.